Thought I might post some photos of groups of RNZAF personel that some of you may know or are able to identify. Not sure if this is the right place as some are of wartime and others post war. Anyway here goes. The Central Flying School at Tauranga aerodrome around 1941/42. Prior to this the Flying Instructors School at Hobsonville. The No 4 Airframe Fitters Course. 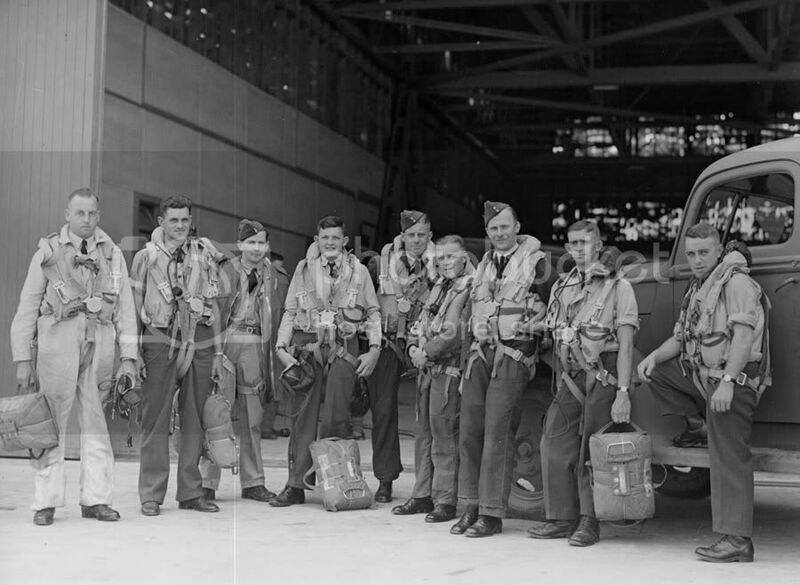 A group of pilots of the No 3 SFTS at Ohakea, 1941/42. The second from left, front row is Instructor, F/L Winstone. 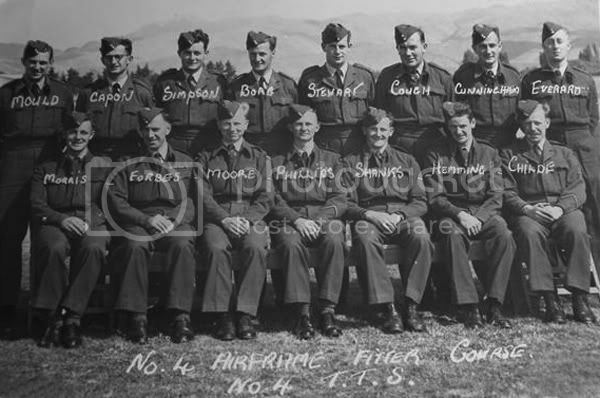 All these photos with the exception of the No3 SFTS pilots are RNZAF Official. 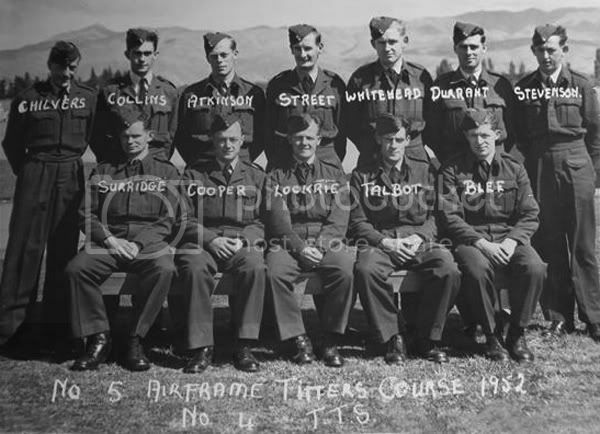 In the 5 Airframe fitters course the guy Street looks like Pete Street who was still around Wigram in the 80s, I think he also became a guide in the Museum, was involved in the CAF as well. I obviously got the date wrong, my next guess is Hv - Hobsonville? That would account for them all being baggies with a Corporal in charge and a F/S over him? Also could account for one being electrical/radio trade. I have just been checking through "Hobsonville - portrait of a Seaplane Station" by Bee Dawson. 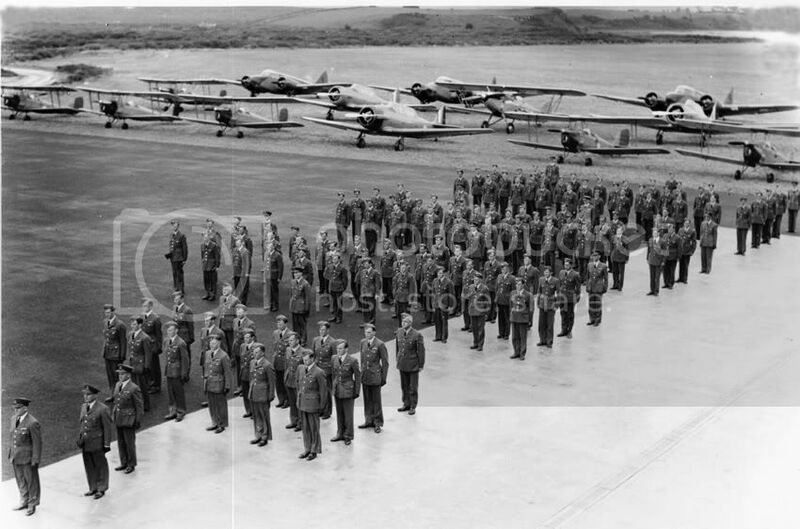 The CO in the centre of the second shot is Sqn Ldr H B Burrell who commanded Hobby from July 1939 until July 1941. He appears to have his Sqn Ldr stripes, rather than the Wing Cdr he was promoted to during his tenure, so 1940 seems about right. 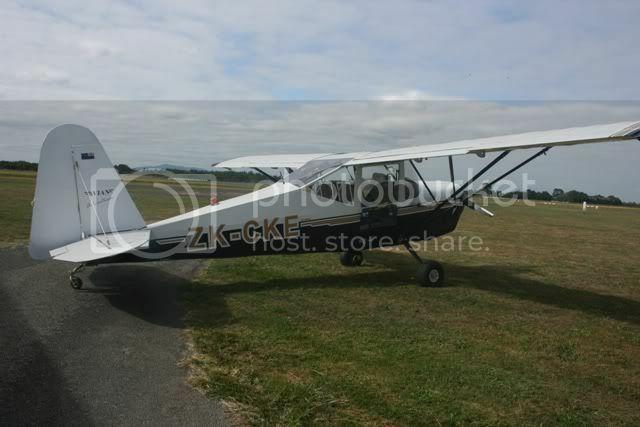 The aircraft is a DH60 Moth. I'm not sure about it being the instrument section as according to the book, this had a high percentage of WAAFs. I suggest Support staff for the Flying Instructors School? When I looked at that photo I also recognized Pete Street. I worked in 4 Hangar as a baggy Acft Mech in 1979 and he was there as an airframe Sgt. Kind of dry sense of humor and first impression he was kind of dingy, but when you were around him more you realised he was just having fun. I guess at that point he had been in nearly 30 years, hasn't changed much from the photo. Rear, Lee, Blundell, Prior, Harvey, Rutherford, Hannah. Front, Waters, Matheson, AMH, Kirkup, Wadingford, Ransom. This photo is of the No 10 course & refresher. (No date). The names listed on the back are not in order but are, de Lange, Jones, Mc Farlane, Mackay, Bencher, Paterson, Martin. This one is not marked on the back so don't know where or when. An unidentified group of pilots? 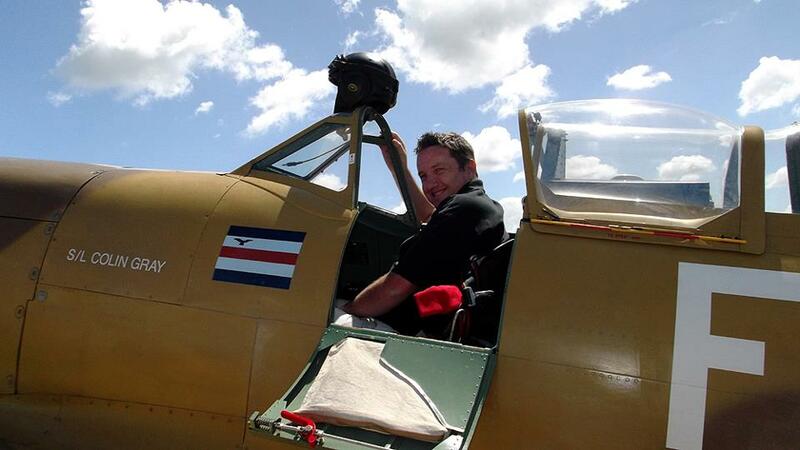 or aircrew, looks more modern than WW2. Anyone able to say who. The WAAF was in fact formed in New Zealand on the 16th of January 1941. 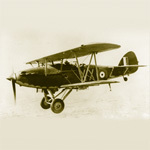 However the RNZAF did have women workers for several months before that date, on a handful of stations. 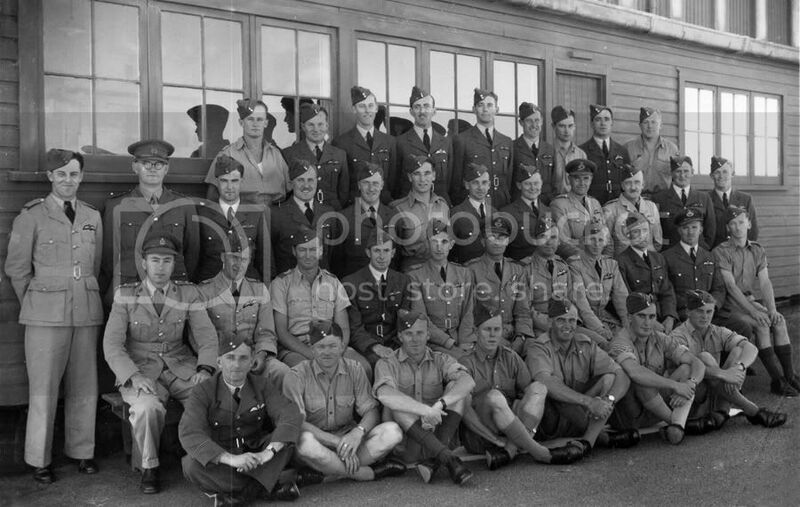 The Flying Instructor's School formed at Mangere (RNZAF Station Auckland) in September 1939 under the leadership of Squadron Leader Dave Allan. It moved to Hobsonville in early 1940. When he was killed in 1940 the Flight Commander, Ron Kirkup, took over the school and lead it till after it moved to RNZAF Station Tauranga I believe. So if either Dave Allan or Ron Kirkup are in that shot, that will help to identfy it. I thionk that might be Dave Allan at the extreme left of shot one. Note how many staff are on parade there in photo one, if this is all the FIS at Hobby, then the second photo can only be a section of the school. In the Course 10 photo, the guy standing at the rear, second from left is Theordore Jasper Maclean de Lange. Does anyone know when the tan coloured summer uniform was introduced to the RNZAF? Was it pre-war or just during WWII? I think this scene could be WWII. They have 1940's aircrew parachutes, and their uniforms and equipment looks WWII to me. What makes you think more modern? 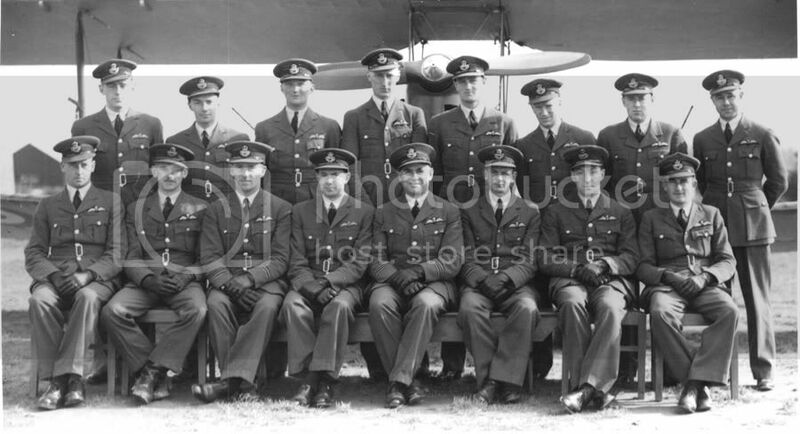 The second to last photo is an interesting mix of summer and winter uniforms and even an Army type in the mix, and I would of thought having an officer sitting down the front with the baggies was a bit unusual. The guys ddown the frontdon't seem to the eagles on their shoulders? The last photo, that number of guys, and carrying chest type 'chutes would they have been a Sunderland crew? And Dave, it was never called tan, it was khaki, or more correctly kahaki drill; known as KDs. From memory the longs and long sleeved shirt and tie was called No 5 dress. , Best blues was No 3 dress. I'm not entirely sure if they are baggies/erks down the front with that officer. They often didn't wear rank slides with the tropical uniform, note the guy in tropical SD uniform on the left standing up, no rank to be seen but he's a pilot. They could still be erks of course, it's just hard to tell in such an informal shot (neat photo!). This could be an operational fighter squadron, with the army officer being their MO, and the non-pilots being Clerk GD's. Maybe that's the Admin Officer or Adjutant in the front with the clerks perhaps? That early photo allegedly at Central Flying School at Tauranga is in fact at Tauranga, and I believe is part of a graduation parade. Looking at the aircraft, it can be seen that they appear to have red noses - the markings of CFS. I will dig into the files to see if I can find some more details. Just checked the phot again and it appears that most of the fron t flight of officers are wearing wings, which would equate to a flying instructors course graduating. I think you're right about them not all being erks, 3rd from left (in front of guy in blues) has officers hat badge but end two in front row seem to be sergeant and an erk respectively. The chap you mentioned on the end seems to have either P/O or F/O stripes on his epaulet. He has (or had) some sort of badge on his sleeve. Neither of the two army types are wearing medical corp badges. Chap in second row with dark socks and also rear row (with T shirt showing) on the end don't have pockets on their shirts? Sorry Les for confusion over Tauranga. I somehow missed that first sentence identifying the place. Definately not Dave Allan in the photo then. Shorty, yes I thought that was an officer's cap badge. Amazing how the more you look at these photos the more you see. Great thread Jim! I found the aircrew picture very interesting, yes it is certainly of WWII vintage, & judging by the kit being worn, circa 1941. 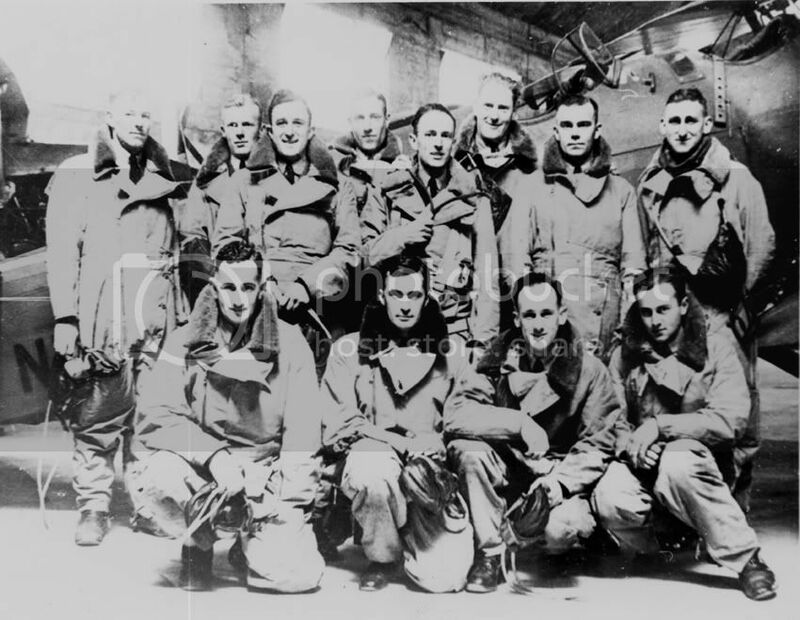 The points to look for that identify the date are; the 1941 pattern mae wests with the fitted stole, B type flying helmets & the figure 3rd from left is wearing the Irvin harness suit, the oral inflation tube over the left shoulder & twin zips being a key identification features. 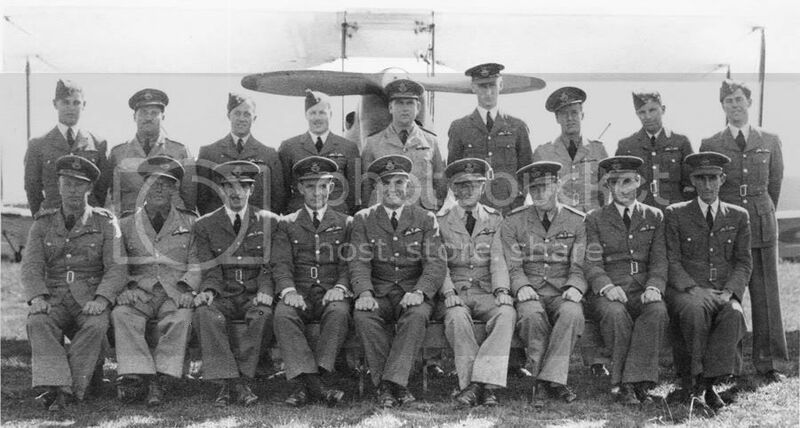 Looking at the photo of the mystery aircrew it appears that the hangar may not have doors at each end, if that is so it could very well be the Hobsonville apron hangar but, then again, the window arrangement is different so where is the hangar? Can't be Fiji as some are wearing blues.Solve that and we may be closer to the answer. I still think that, if they are all one crew, they would have to be a Sunderland crew as nothing else we have operated has that many. However, given how draughty a Sunderland was I would have expected some at least, to have jackets with them.